Former President Noynoy Aquino, Mar Roxas, Vice President Leni Robredo and other Liberal Party members attended the inauguration of a monument to the late Sen. Jose Wright Diokno recently. This was at the Commission on Human Rights compound in Quezon City. The VP made a political statement at the end of the Holy Mass. The church seems to support Robredo’s UP chapel politicking. This is contrary to their teachings or at least to their mandate. 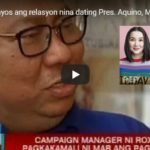 [VIDEO]: Pinangunahan nina Bise Presidente Leni Robredo at dating Pangulong Benigno “Noynoy” Aquino III ang pagtitipon ng iba’t ibang grupo sa UP Diliman para managawan ng hustisya para sa mga biktima ng pag-abuso sa mga karapatang pantao, bahagi ng paggunita sa ika-45 anibersaryo ng pagdedeklara ng batas militar. She spoke against Marcos whose 1972 martial law proclamation prevented the Communist Party of the Philippines. I also stopped the New People’s Army from overrunning the state. 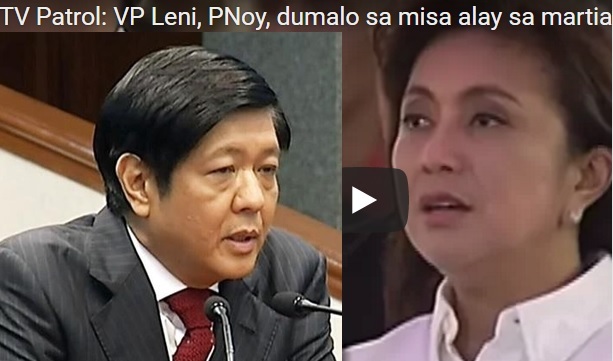 It’s just because Bongbong Marcos is contesting her vice presidency. She even ended up attacking all the other administrations that followed after Marcos. This is from Cory Aquino to her son Noynoy when she said “45 years of brutality” in her speech. The church leaders cannot and must not decide for the people how to act. The teachings say; unity in necessary things, liberty in doubtful things, and charity in all things. They must proclaim what is right and what is wrong. But the followers must decide for themselves how to pursue the right and the good. 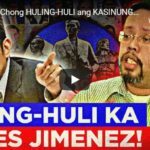 Until DU30 puts an end to the killings, the scandal will not go away. However, such extra-judicial killings are ancient problems. They are part of the culture and history. The President can only speak against it and implement tough punishments. The changes must come from the people. This meant one big bold step that the Church can do is to focus on prayers. This has a profound effect on the practice of the Christian faith. It is known to have played a special role in some big events in world history. Unfaithful Christians doubt that prayer alone can never be effective without some drastic actions against authorities. The Christian way is to act by cleaning own heart and action first to have a closer relationship with the Creator. They have to be reminded that prayers can move mountains. To believe in it is the measure of great faith. i don’t read the fvp’s speeches coz it’s full of holes and she doesn’t know what she’s talking about. she only does it just for her to say something and doesn’t care if others don’t understand it. 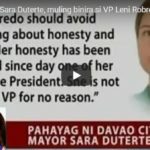 Naturingan ka pa namang abogaga..
Kaya huwag sagarin ang pagkaBOBO mo #LeniRobredo #PekengVP. For Love & peace !! The church should stop mingling in to politics !!! !